Gypsies, we can't even begin to express how excited we are to be releasing this new collection! Not only is this the first line of the new year, it's an extensive line with a plethora of vintage finds unlike any of our previous collections. Our travels took us to Africa where the 7Gypsies line, "Serengeti," was brought to life through the inspiration of the African countries and our love for all that it embodies. 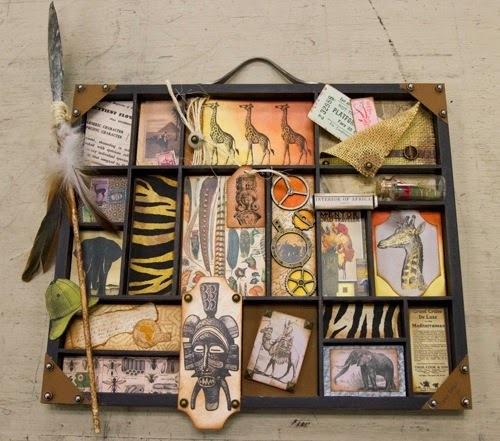 The pieces of Serengeti come together to create this amazing tray. This collection not only has new printed pieces, but is is filled with texture and dimension. 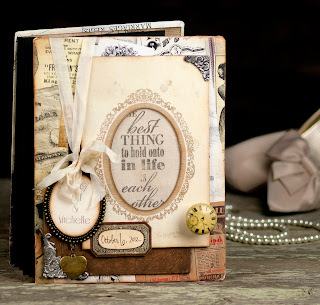 Adding the textured papers with the line offers so many new directions to take your 7gypsies inspired projects. 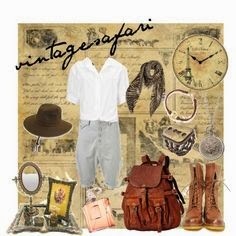 This photo added to the Serengeti inspiration, fount on Pinterest. A diverse continent that boasts over 1,000 languages, the largest river in the world and countless other amazing attributes led us to the line. Visit Serengeti Pinboard to see more inspiration pieces that we used to create Serengeti and be inspired. Follow our Pinboards as we add new inspiration, products and projects all the time. 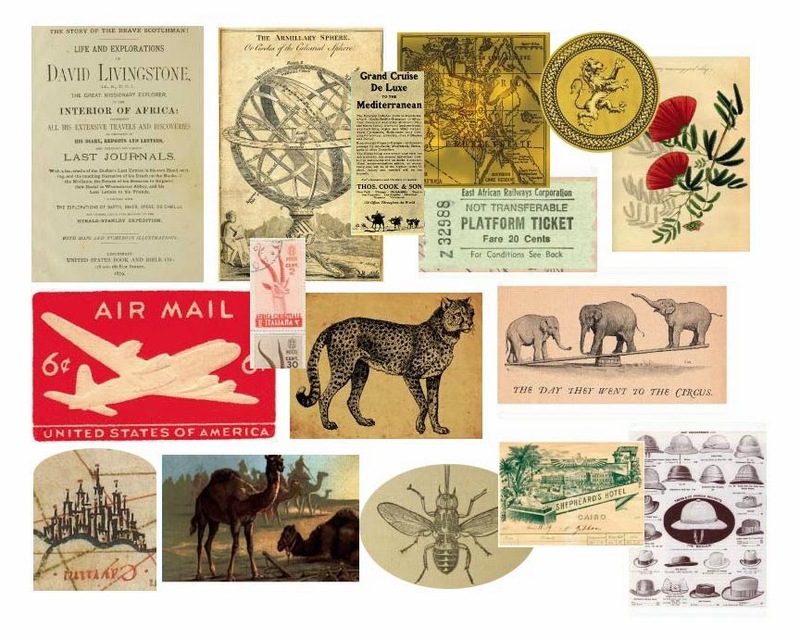 We created Serengeti with a wide assortment of eclectic findings to help you tell the perfect story. 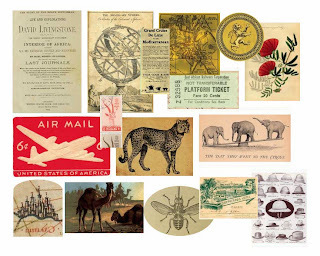 In this collection you'll find glimpses of the Nile, Sahara, Egypt, South Africa, the animal kingdom, and more! 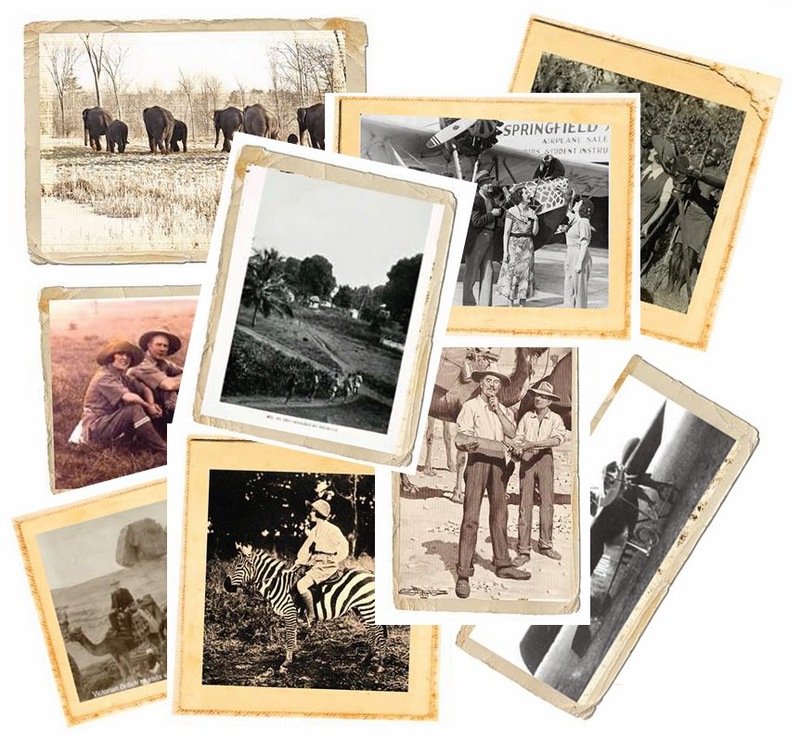 Wether it be a safari-themed birthday, first trip to the zoo, a trip to Disney's Animal Kingdom, or a mission trip to Uganda, this collection has the findings to preserve your memories. 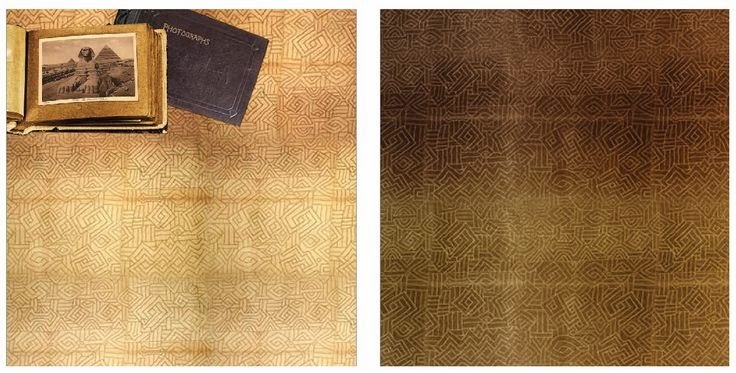 We wanted a neutral palette that brought the true essence of Africa to life. 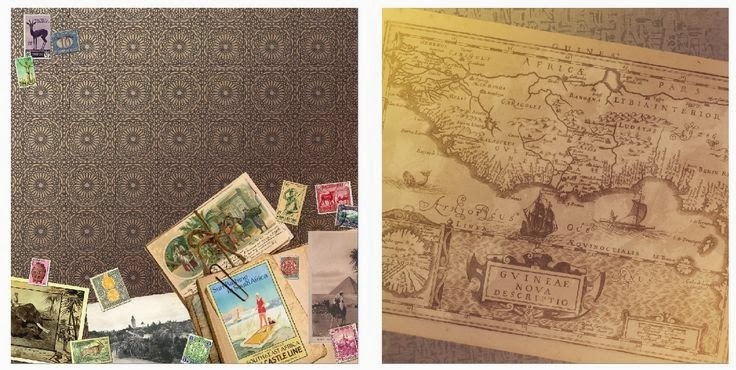 We also are loving neutral vintage backgrounds that mix and match with amazing vintage images. 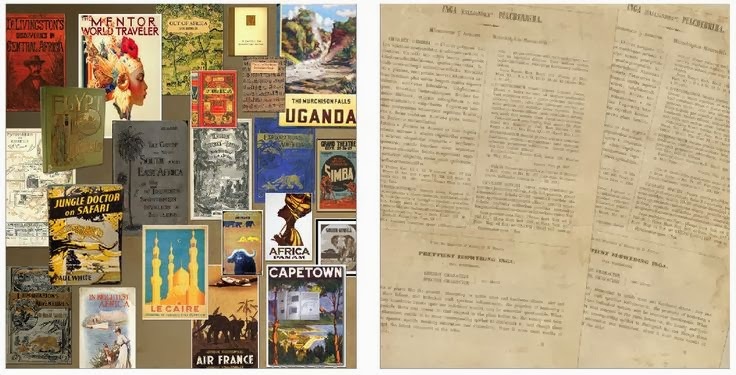 Each paper was named with a translated Swahili word, one of Africana's most used languages. 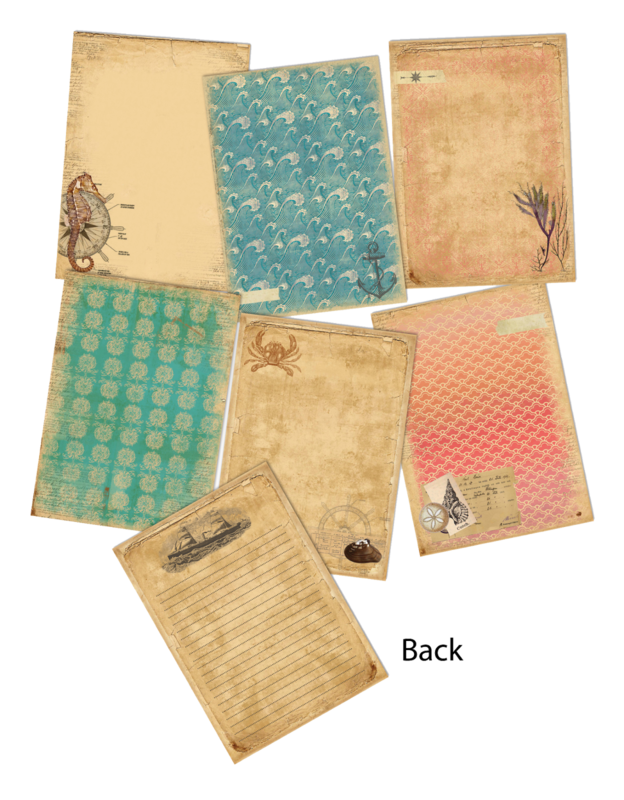 The papers are also available in both 6x6 and 8x8 pads offering scaled down versions of these beautiful papers. Each pad features all 6 styles, 2-sided with a total of 48 pieces. The scaled down versions are ideal for 7gypsies trays and smaller projects. 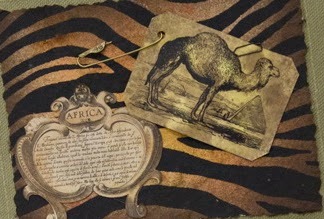 The colorful nation is captured in the Serengeti mini ephemera found as one travels the lands of Africa. 15 unique colorful designs. 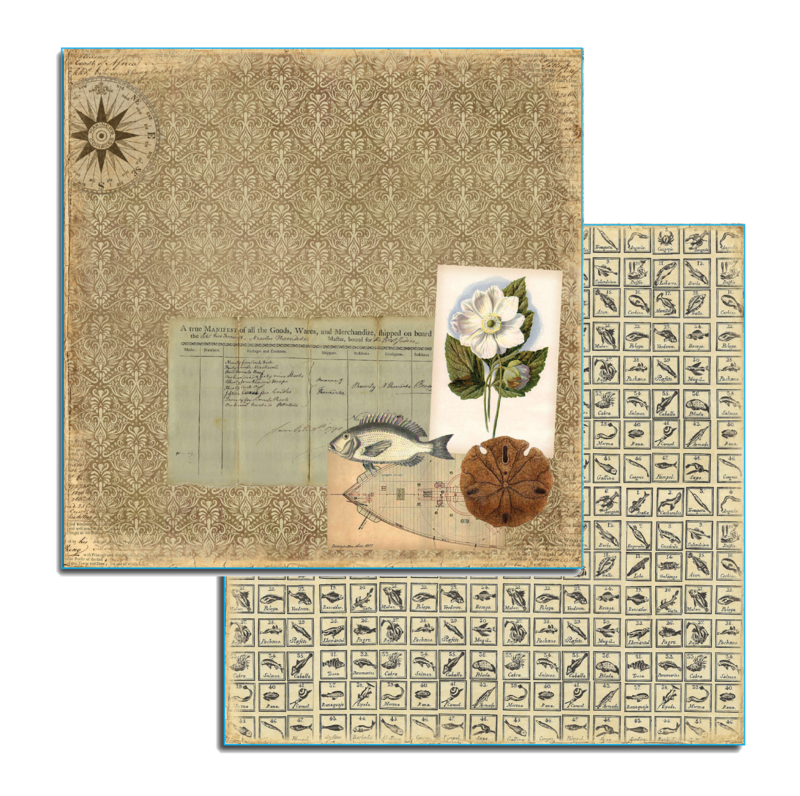 The mini ephemera sits perfect onto of the misted zebra paper to create pieces that look like they have been around for so very long!!!! 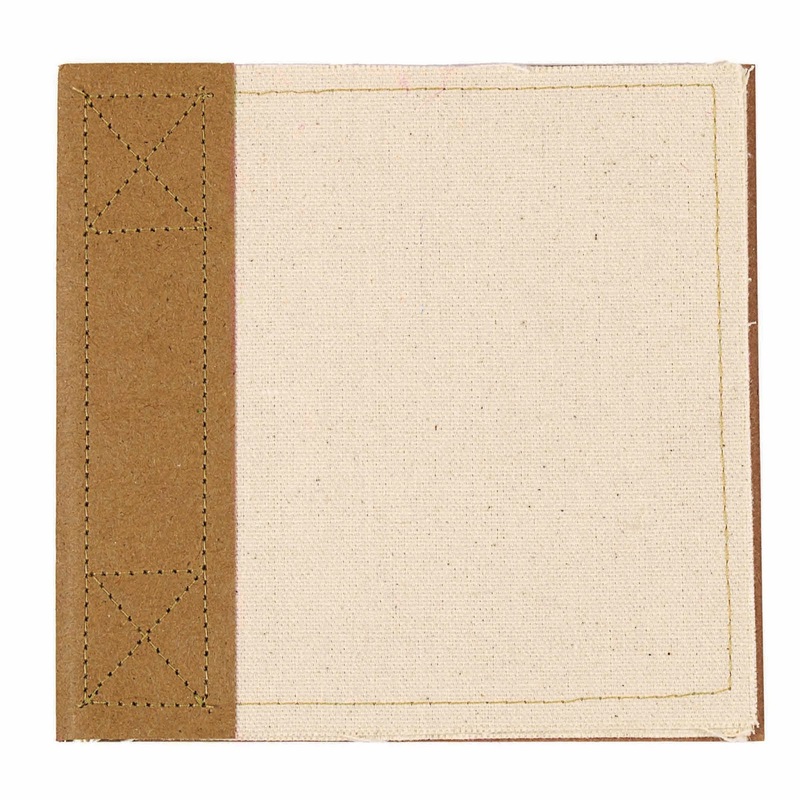 Note* The zebra paper is also available in 12x12 under our textured papers. It comes black and white…you have to add the mist or paint to make it your own. Photos that capture what a gypsy might see on travels through Africa and want to share with the world. 12 unique photos featuring vintage animals, safari and other native images. 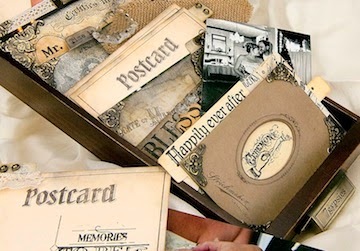 Mix and match them with your photos to bring a vintage vibe with your photos that are new and old. - we love the one of the lady on the zebra….we so want to ride a zebra. 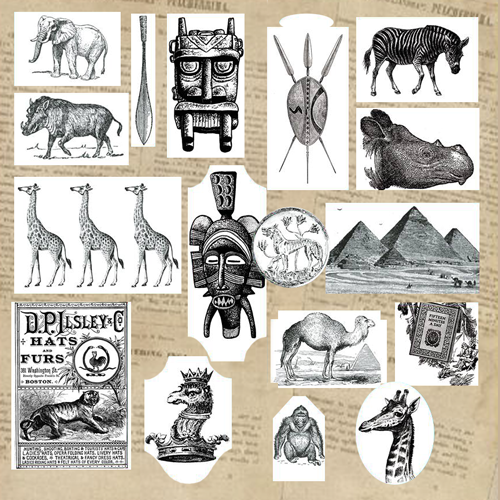 The essence of the cultures of Africa are abound in our newest creation, b&w art tags. 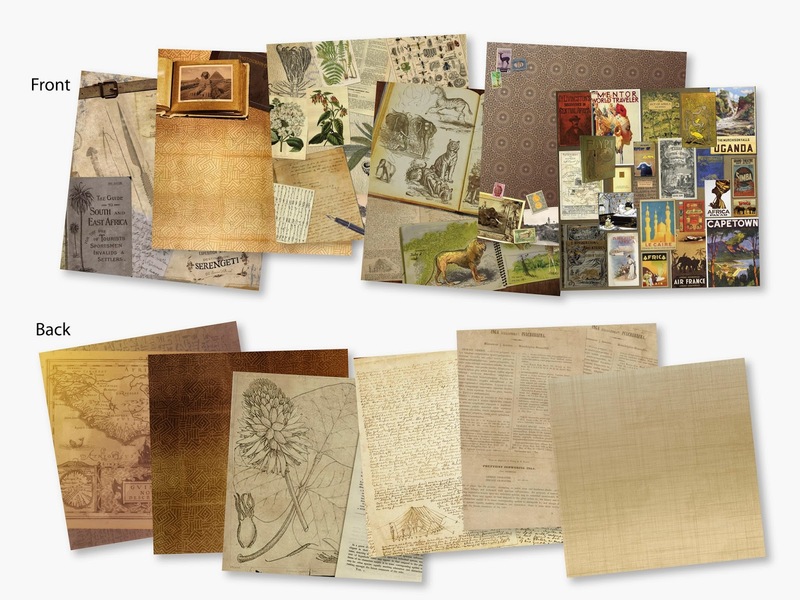 Prepared with stamp-like art that is ready to be tinted, painted and added to your creations. 17 different designs. 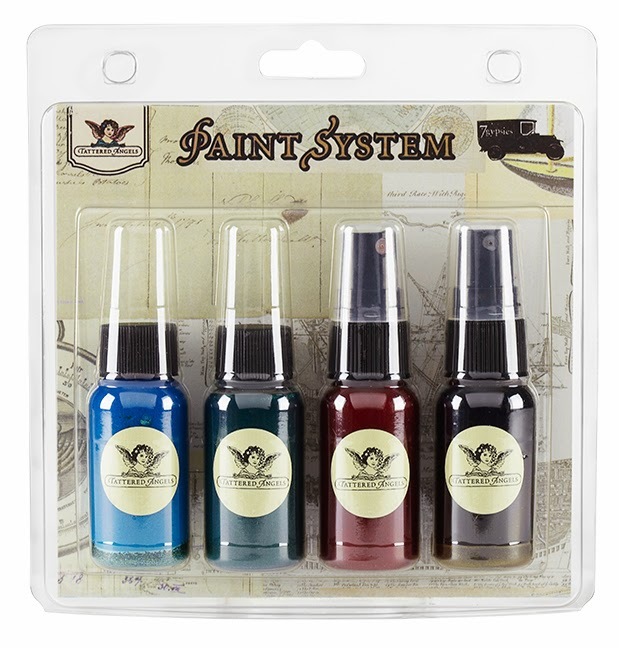 Misting the b&w tags with Tattered Angels Glimmer Mist is a great way to create tags and ephemera in your colors, allowing your piece of art to be your own. 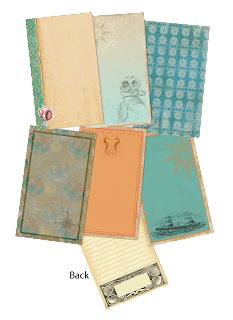 The amazing artwork of the line can be found inside and out of these new printed file folders. 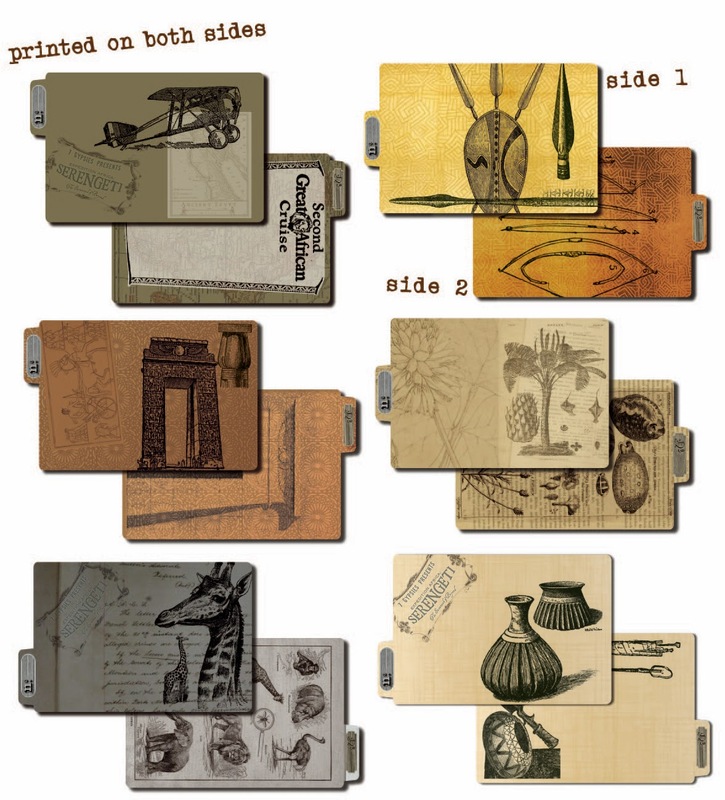 Perfectly sized to hold the standard ATC cards, they will bring fun life to your projects. Unique designs are printed on both sides - 6 different styles per pack. 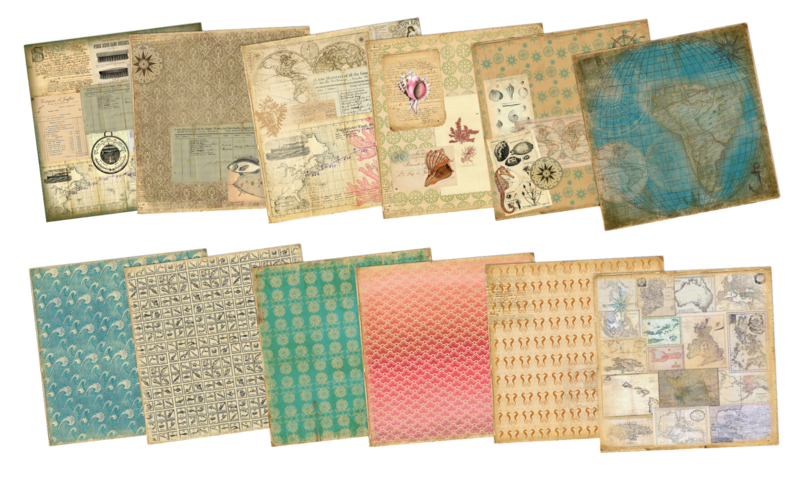 The file folders are perfect in layouts, mixed media book or to house your favorite vintage ATC Project. 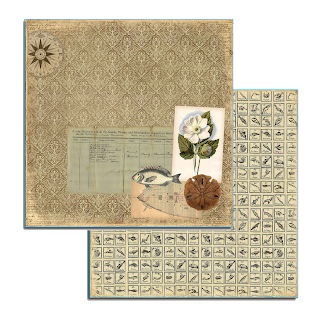 Use our vintage pins to pin two together making a mini book of ATC File Folders. Another new product, 4x6 Printed File Folders. Now a vintage place to hold and organize the hundreds of photos. The designs on the 4x6 are not specific to the Serengeti line, but they work wonderfully with them. 6 different styles, printed inside and out. 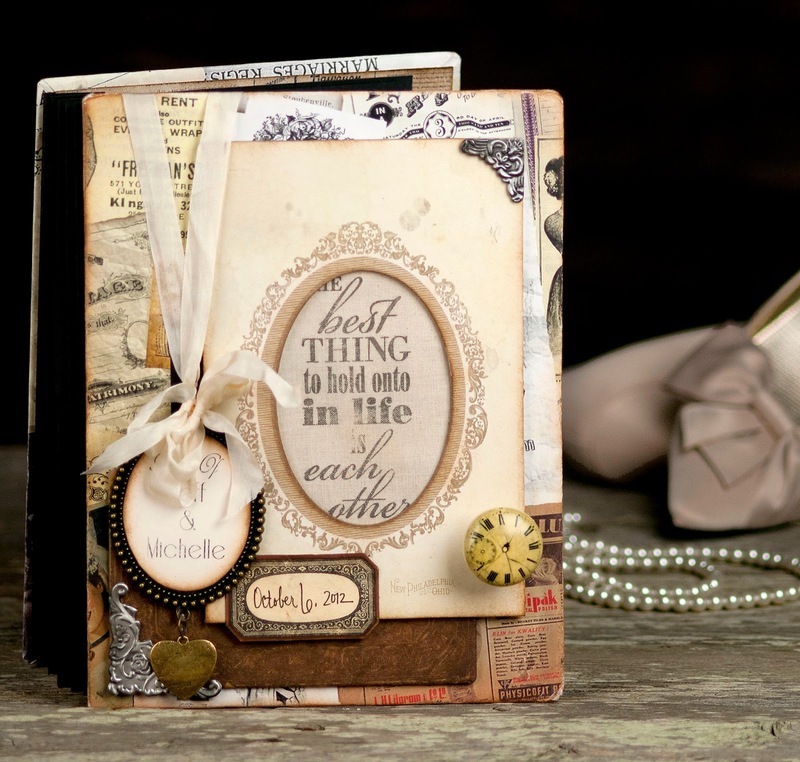 We love this banner created with the 4x6 file folders. 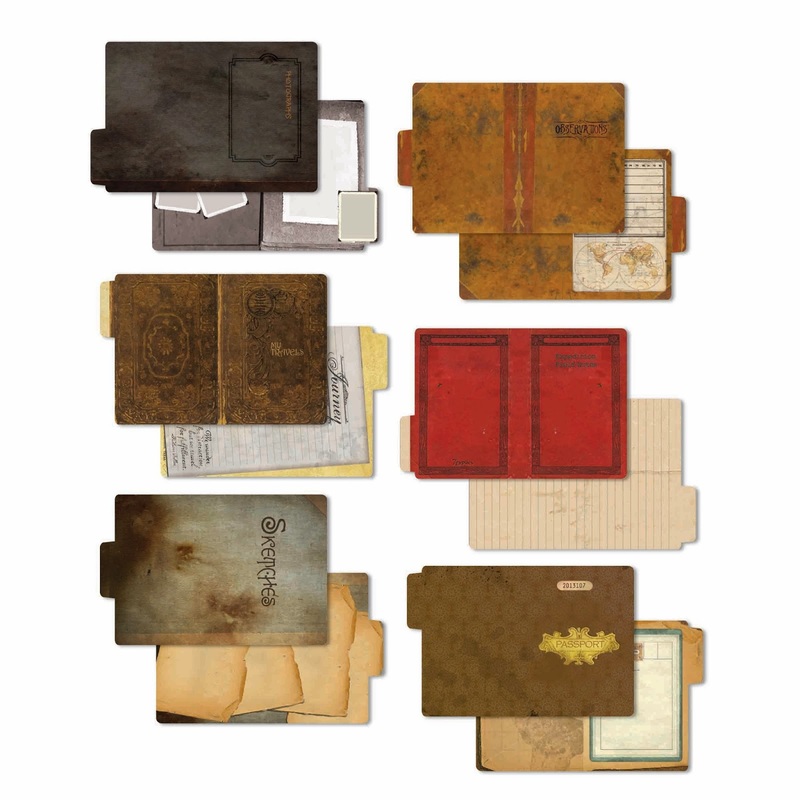 Add photos, ephemera and sketches for all to see. Jennie created this to hang in her boys room. 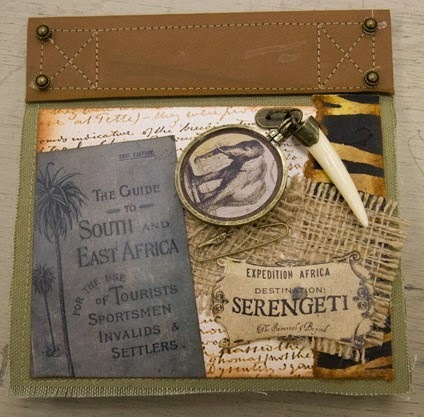 These sewn book are the perfect surface to capture your Serengeti journey. 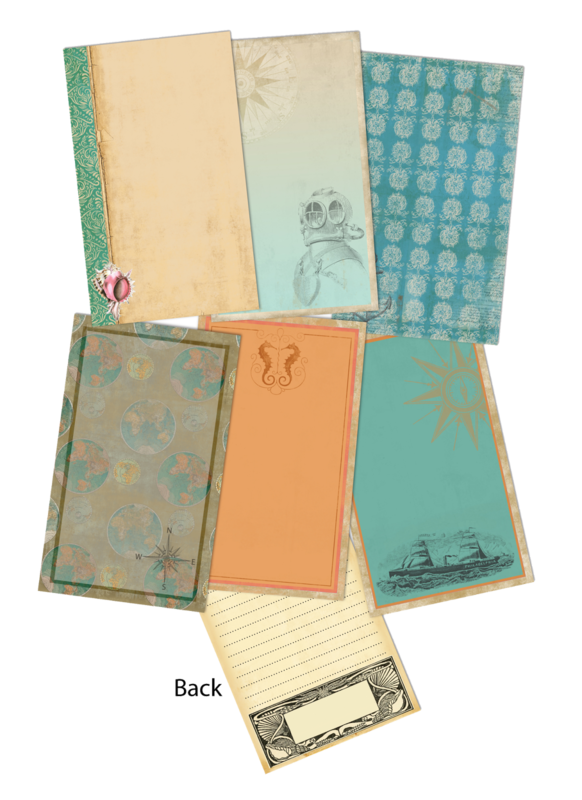 Featuring 4 pages with space on the front and back for design in 4"x6" format. If you have not designed on fabric before this is the prefect place to try it out. The diversity of working with fabric is so fun, giving you amazing new design options. 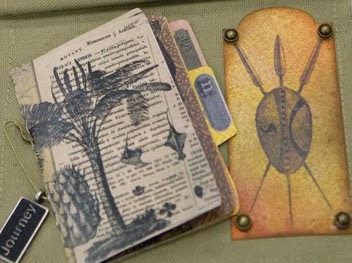 Here are just two of the book options, we have 4 fun combinations, including one with burlap. 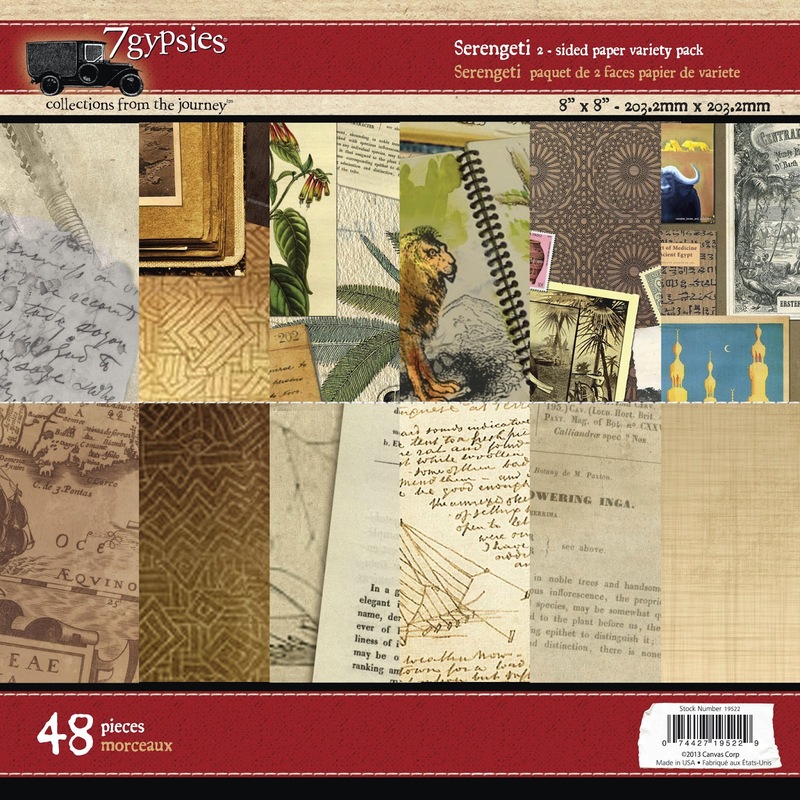 Gypsy books can be used vertical or horizontal and are filled with pages of fabric that are ready for great design. Add layers of ephemera, textured papers and metal embellishments to create this amazing front cover. 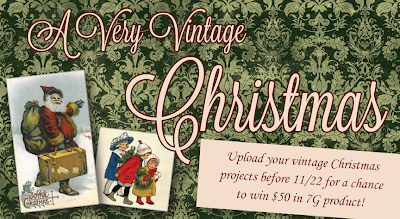 Now you can just pin your vintage pins right to your project. Another new collection from 7gypsies. 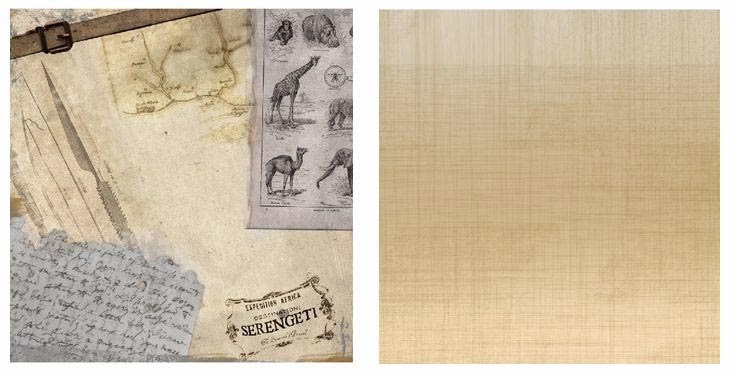 Textured papers and fabric are so hot right now, we wanted a collection of our own to match the Serengeti line. Here are just a few of the designs…burlap, linen, leathers, animal prints….ready for so many great techniques…stamping, stitching, distressing…. 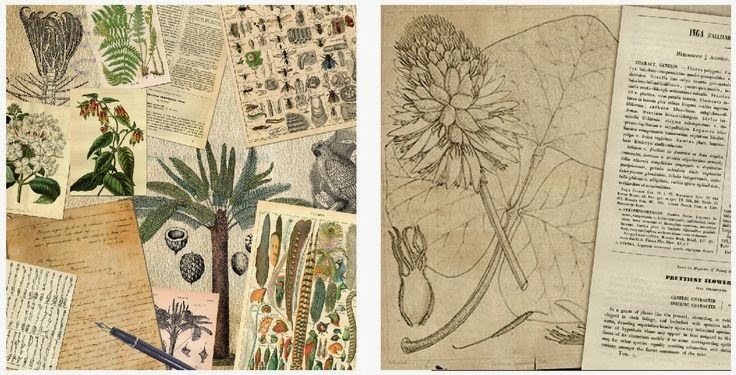 Use the textured papers as is or ink, mist or paint them to create colorful African inspired prints. Keep the artwork vintage and neutral or add as much color as you would like. The spear was crated with the Tattered Angels Naturally Aged Kit - Tarnished Silver. 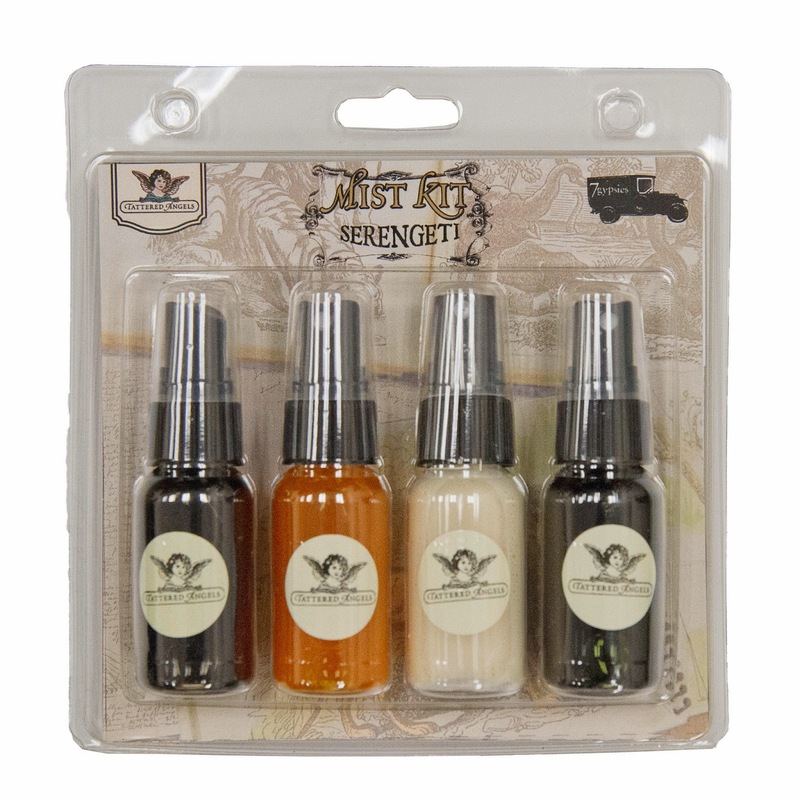 Four unique mists that bring out our favorite colors of the Serengeti line--two opaque and two sheer. 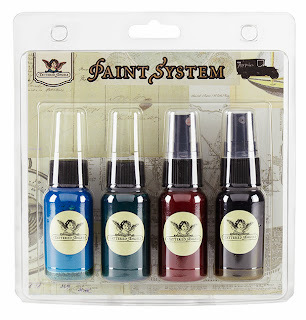 We left the glimmer out of the paints selected leaving a pure, natural color for this line. 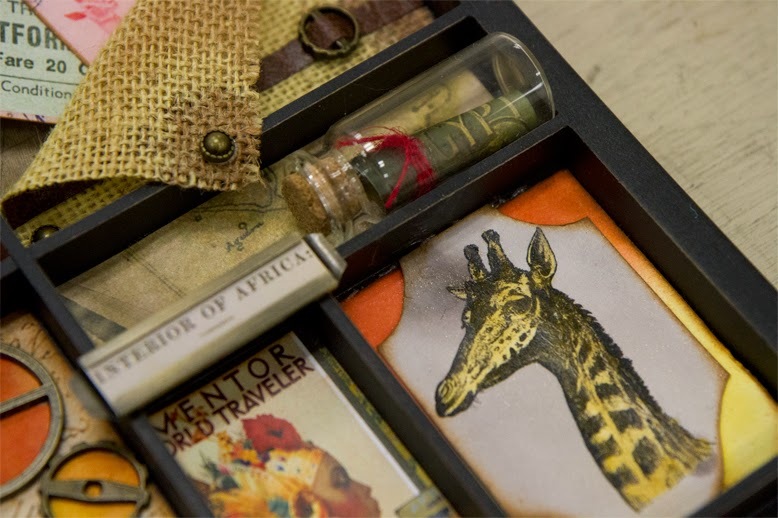 Is this collection worth dreaming up a trip to Africa? We sure think so! To order, contact your favorite retailer. For existing wholesale accounts, please contact Canvas Corp directly. For new wholesale accounts, please fill out the following form. Congratulations to Dawn Edwards and JP Scraps for winning a selection from our Harmony Collection! Please send your mailing address to cmalkiew@gmail.com so we can send your prize! Thanks to all who entered! Oh my what a year we have had. So many great releases....we thought we would take you back through each release and then....a sneak peak at what we have in store for our first release for 2014!!! On the days before we bring in the New Year, we will be featuring fun projects and releases from this year. They might inspire you for a project for 2014, who knows. Let's start with Harmony....this was one of our favorite releases and we want to thank everyone for making it so successful. A vintage wedding line was something the gypsies felt just had to be done and we are so glad they did. The line is classic, vintage and oohhhh so wonderful. If you got married this year, are soon to be married or want to re-capture weddings of the past, this line was designed with you in mind. When store bought guest books are not your thing, consider making your own...this fun guest book allows each guest to add a little note on the postcard, to be read for many years to come. Keep it on display to remember that special day. There are two sets of cards on the top and the bottom and double sided, so lots of room for guests to leave that special message. 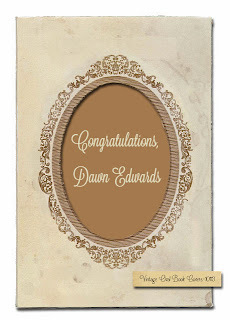 The 7gypsies Harmony papers are the perfect neutral colors to work with the colors of any wedding. 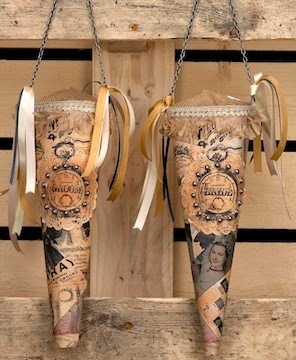 Looking for great chair decor, wedding pew decor or to add a little gift from the bride and groom, these paper cones are a nice added touch. 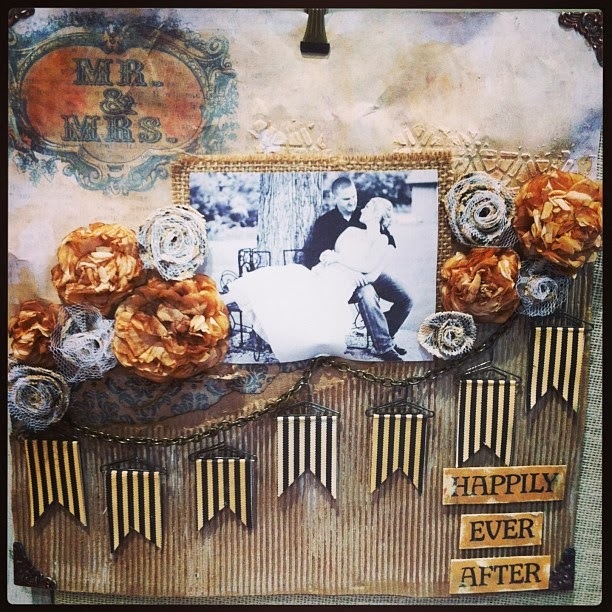 Touches of lace, ribbon and metals give them just the right vintage look. Not sure how to display the hundreds of wedding photos, we have an idea...the 7gypsies Librarie Drawer. 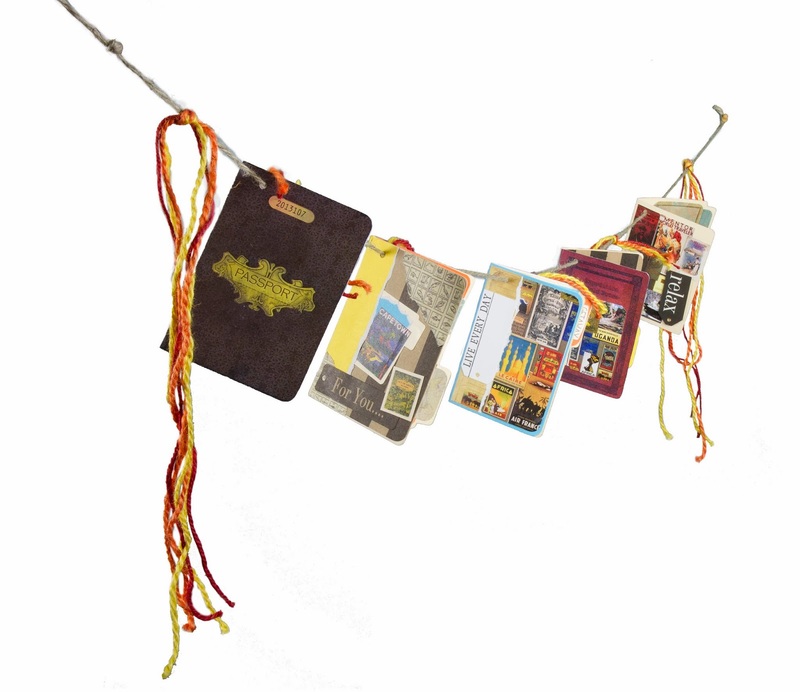 It was designed to hold 4"x6" photos and has an array of dividers to help keep them organized. No need to choose which photos to put into your album, keep all your wedding, holiday or other event photos together for all to see. The wedding is over, the guest book is signed, the photos are taken and you are ready to capture every beautiful moment...this amazing Happily Ever After 12x12 wedding layout (created by Misty Russell) is sure to inspire you to create a vintage wedding scrapbook. The Harmony papers, tissue flowers and paper flags on the painted background could not be a more fitting setting for this beautiful black and white wedding photo. Simply cut and slip paper over the 7gypsies mini hangers to get this look. A great idea for baby layouts as well. Mount photos on a burlap sheet to add amazing texture to you layout. Burlap is a great touch to just about any layout, even weddings. 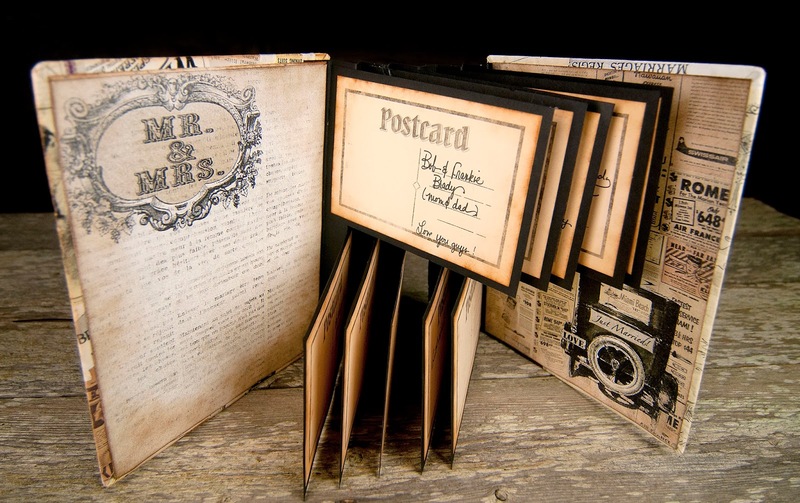 Leave a message on Facebook or this Blog Post and let us know your wedding anniversary or upcoming wedding date and we will choose 2 lucky winners who will receive the entire 7gypsies Harmony line, the Librarie Drawer, assorted dividers and an assortment of vintage embellishments. We will choose the winners Monday am, so help us spread the word. Have a great day from the Gypsies!!! Thank you to all who entered! It was a difficult decision, but we believe that Julie embodied the Gypsy prowess best. 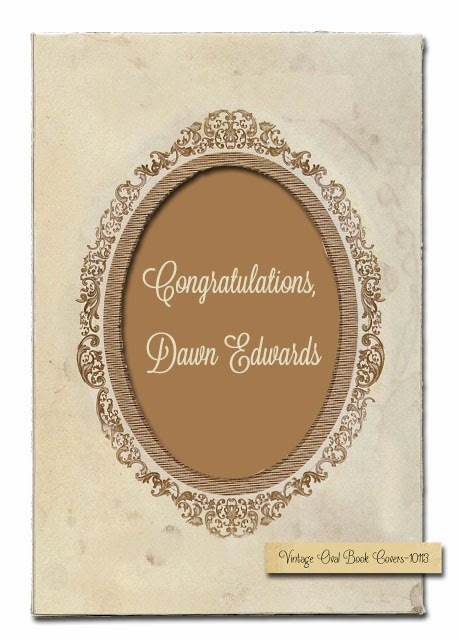 Congratulations on winning a selection of our finest Gypsy items! 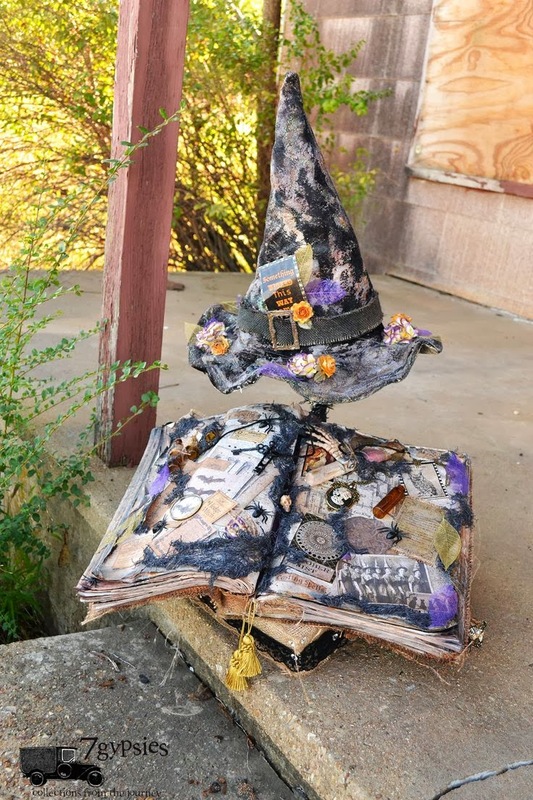 Because this decision was so difficult, we wanted to give a shout-out to the other Gypsies that entered into the Challenge, and let you take a peak at their projects. We were especially fond of the entrants that didn't have a large assortment of 7G products on hand, but still found a way to track some down in order to enter! For that, we will be sending each of the other entrants a package of goodies so you have an assortment of 7G goodies on hand! 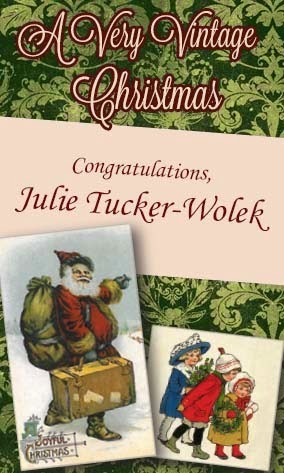 Please email Camille at cmalkiew@gmail.com to claim your prize! 3. 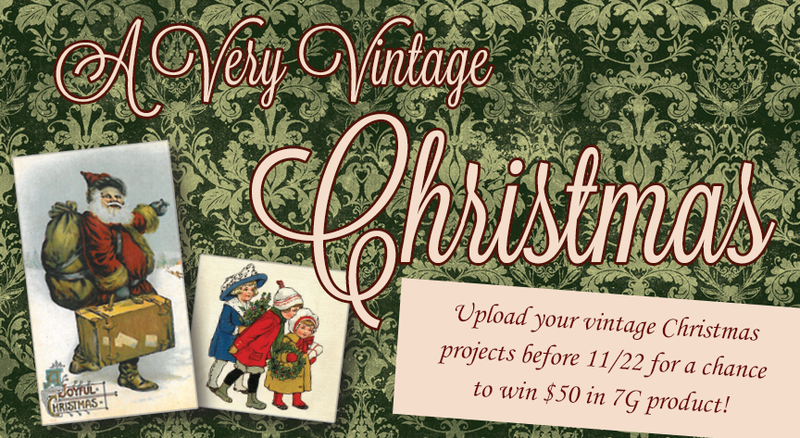 We will select one winner who we believe embodies the Vintage Christmas "Gypsy Prowess" to receive over $50 in 7G product! The contest opens at 8:00 am on Monday, November 18 and ends on Friday, November 22 at 10:00 pm. We will announce the winner on Saturday, November 23! We are SOOO excited to see what you create! At Seven Gypsies, we have the opportunity to meet some amazingly talented individuals through our travels. We came across one designer that we just HAD to share with our Gypsy followers. 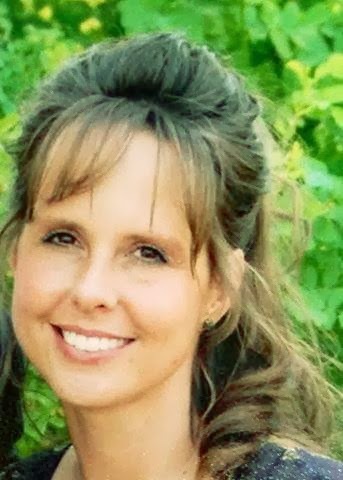 She has a knack for collecting items and re-using them, no matter their initial use. 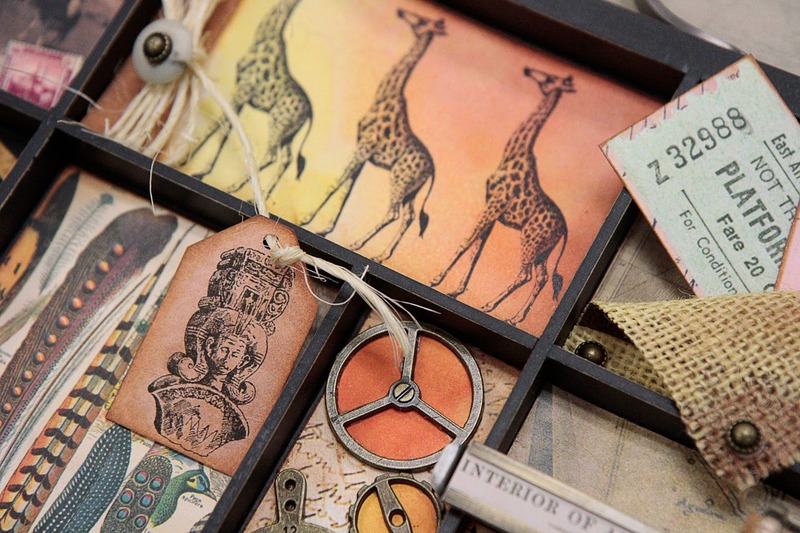 Whether her materials are old or new, used or un-used, she has a creative way of combining them all into vintage masterpieces that are sure to spice up any occasion or holiday. 7G: How long have you been designing/crafting? KN: I initially began when I was young and I'd craft with my mom, but I really began to craft as a hobby about 8 years ago. It started with basic paper crafts, and then my projects began building on one another and now I am designing much bigger projects with versatile materials. 7G: Where do you get your inspiration? KN: I really find inspiration everywhere. 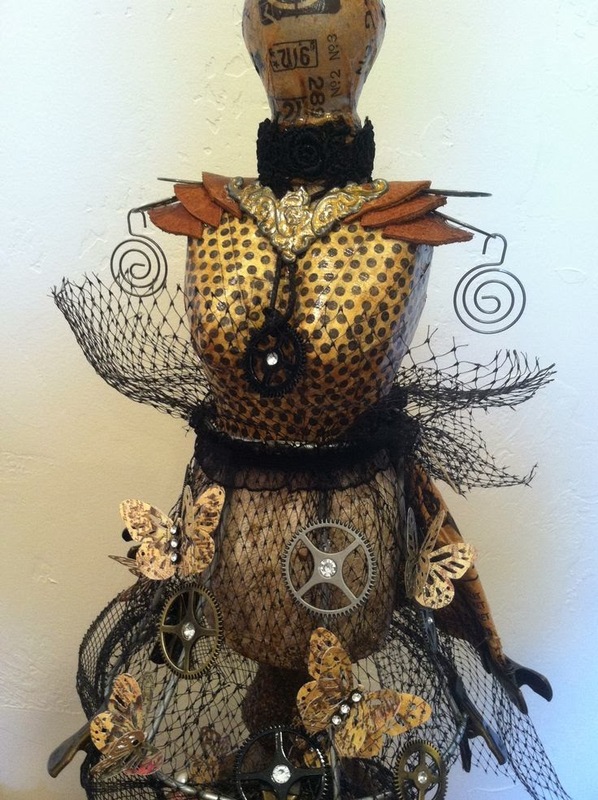 I enjoy re-using materials so I will save almost anything to use it for creative purposes. I look at empty pop bottles and instead of throwing them away, I think to myself, what can I make with these? 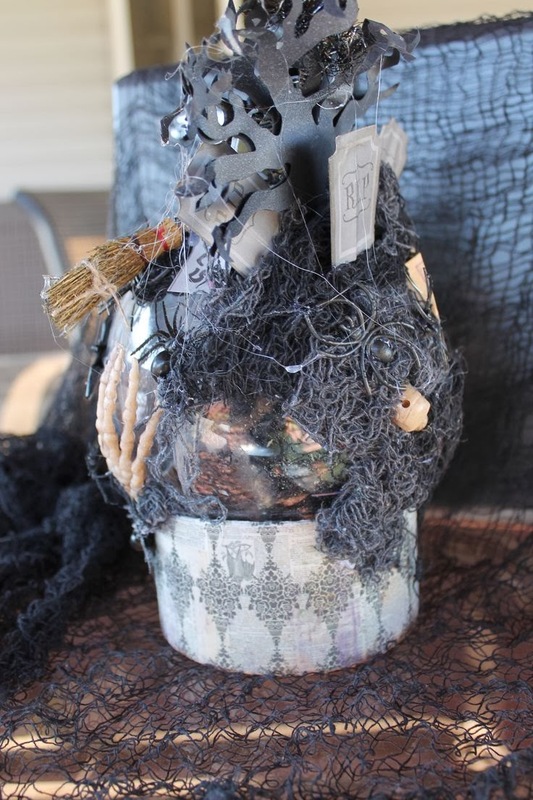 Kimberly created this glass ball using the Wicked Gypsy collection! 7G: What is one of the oddest material you've saved to craft with? KN: I once saved a mesh bag, you know, the one that covers a frozen turkey, and used it as hot air balloon netting in one of my projects. I also created a dress mold out of mouse traps! Turkey netting goes a long way! 7G: What's your process like when it comes to designing? KN: I usually just wait for that "aha" moment. I use crafting as a way to de-stress, so often times the more stressed I am, the crazier the project! 7G: What are some of your favorite materials to work with? KN: When I first began crafting I used burlap on everything. I also use a Cricut for card-making. I love my Cricut but I found that the cards themselves were too boring, so I began altering them with vintage finds from 7Gypsies. 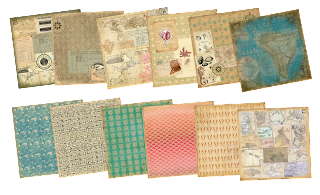 Some of my favorites are the vintage tissue papers from 7Gypsies. 7G: What is your favorite project that you've completed? KN: I created a dress mold using an old mini lampshade and 7Gypsies papers and embellishments. 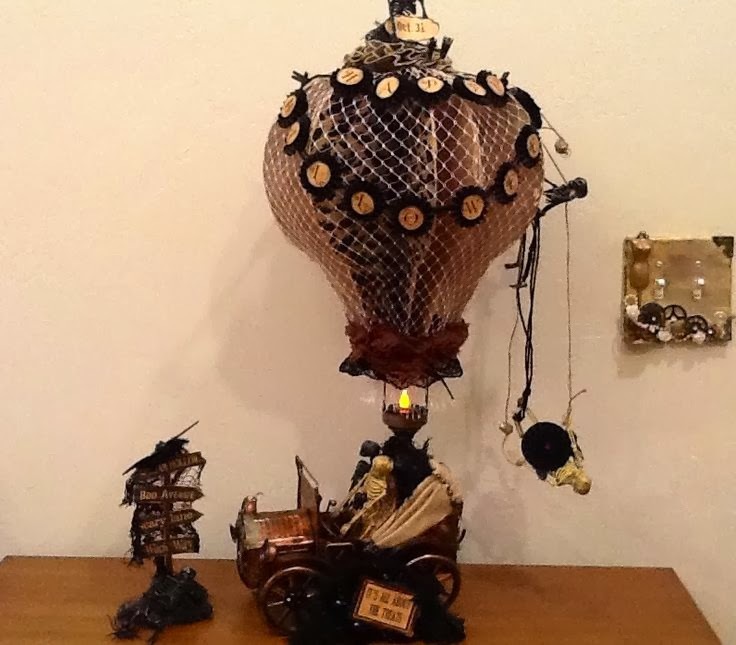 It's steampunk style and I love how it turned out. Steampunk style using 7Gypsies trinkets and papers! 7G: What is your design style? KN: Ooooo I love grunge, it's definitely my style! 7G: Do you have any advice for others? KN: Always challenge yourself, think outside the box and just have fun! Don't stress about your project. If you mess up, just add over it and start over! A project Kimberly created for our Wicked Gypsy line! If you'd like to talk to the Gypsies about your specific design style, email us! Every so often, our travels through land give us a hankering for the aqua...Traveling gypsies we may be, but we long to be lost at sea. The desire for seafaring adventure inspired us to create a collection that captures a vintage spirit of oceanic travel. 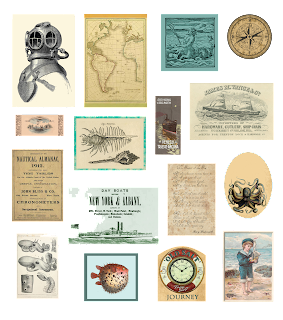 Our kindred clan of gypsies created an ensemble of beautiful products with art capturing the rolling tides of the sea, oceanic maps of days gone by, the mysteries of the aquatic and a unique collection of vintage ephemera all with nautical inspiration. 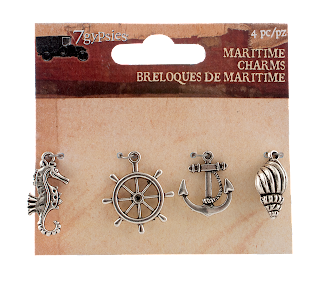 This collection is all you need to bring your seafaring projects to life whether they be on shore, boardwalk, sea, vessel, beach or backyard--the perfect ensemble to anchor down your memories. Journal Cards 3" x 5"
Journal Pages 5" x 7"
The French refer to fish as poisson, so we thought it the perfect name for the paper that featured vintage fish sketches. 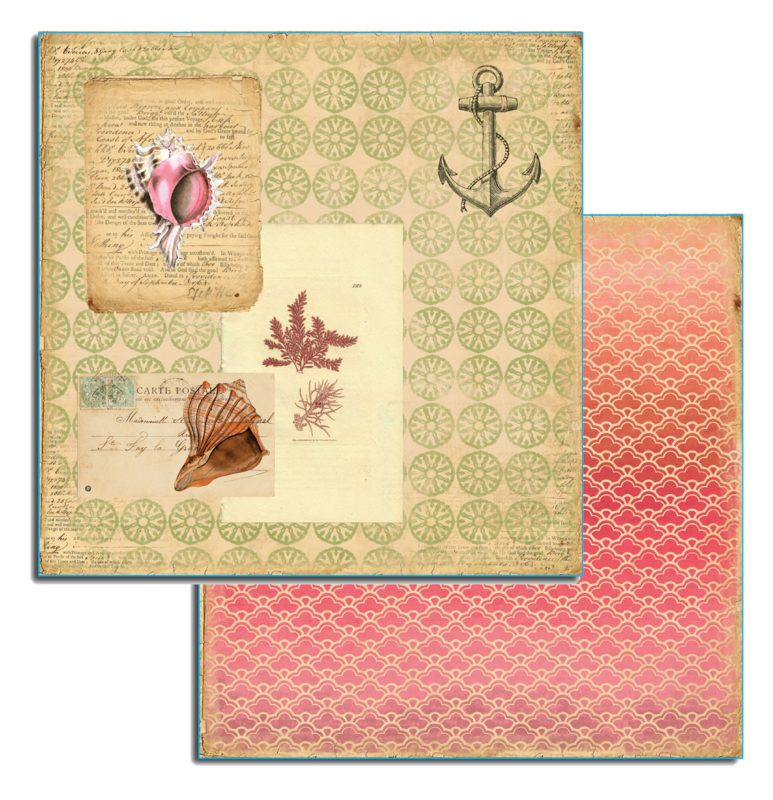 The French word for shell was an eloquent name for this coral and neutral paper featuring la coquille. 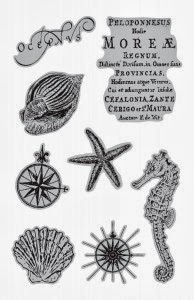 The French refer to the mermaid as la sirene or la petite sirene, when referring to the little mermaid. You will find her in the upper corner watching over the maps of the world. La Boussole is the instrument that measures navigation. 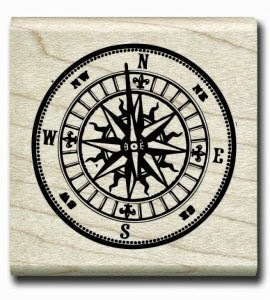 We call it the compass. 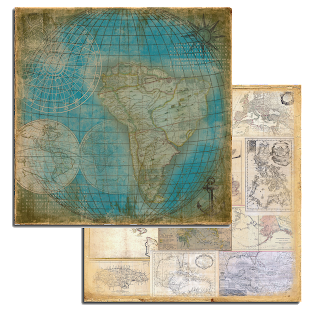 It will navigate you around the world. A sailing boat is called le voilier. This beautiful paper features renderings of sailing vessels both old and new. L'ancre keeps the ship at bay as it anchors itself in place. You shall choose where to anchor yourself as you travel around the maps of the world, the islands and the sea. 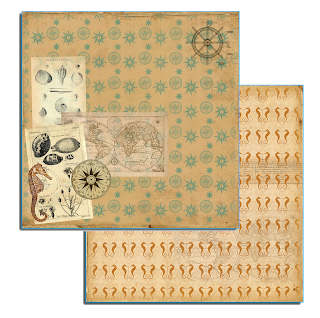 Close your eyes and reach into the trunk that was lost at sea and what will you find? An old Maritime newspaper, novels of the sea, postcards from afar and posters of ships, nautical flags and knots. These 2-sided, heavy stock ephemera is the perfect base for a seafaring book or accents on a Maritime tray. 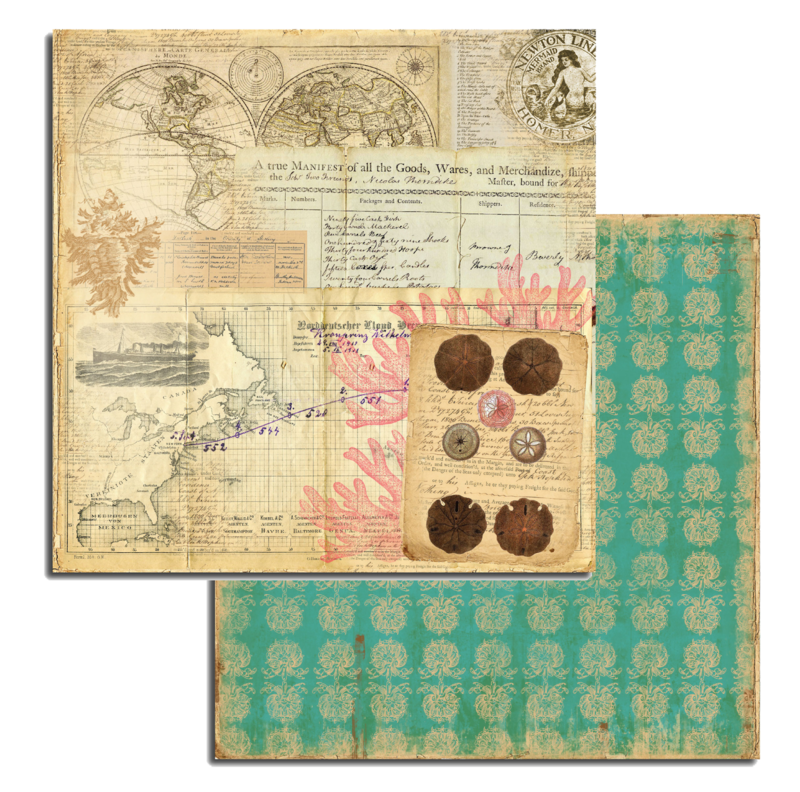 An old envelope reveals special momentos of the captain's travels of land and sea-- a favorite poem, a map of travels gone by and a page from the Nautical Almanac. These small vintage touches will help to complete the look. 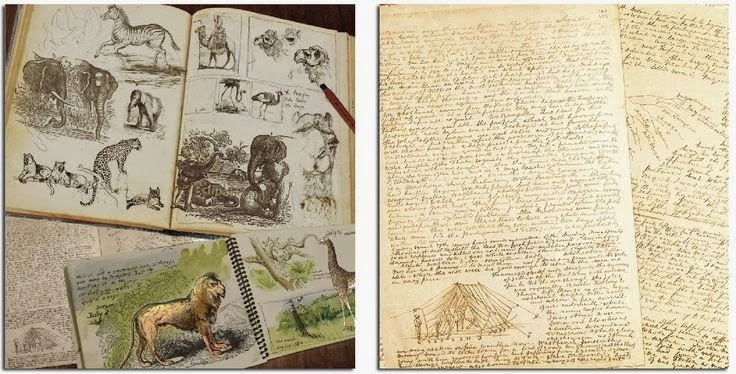 An abundance of beautiful color was laid down to create these journal pages. Choose the color or the flip side which features a vintage ship. 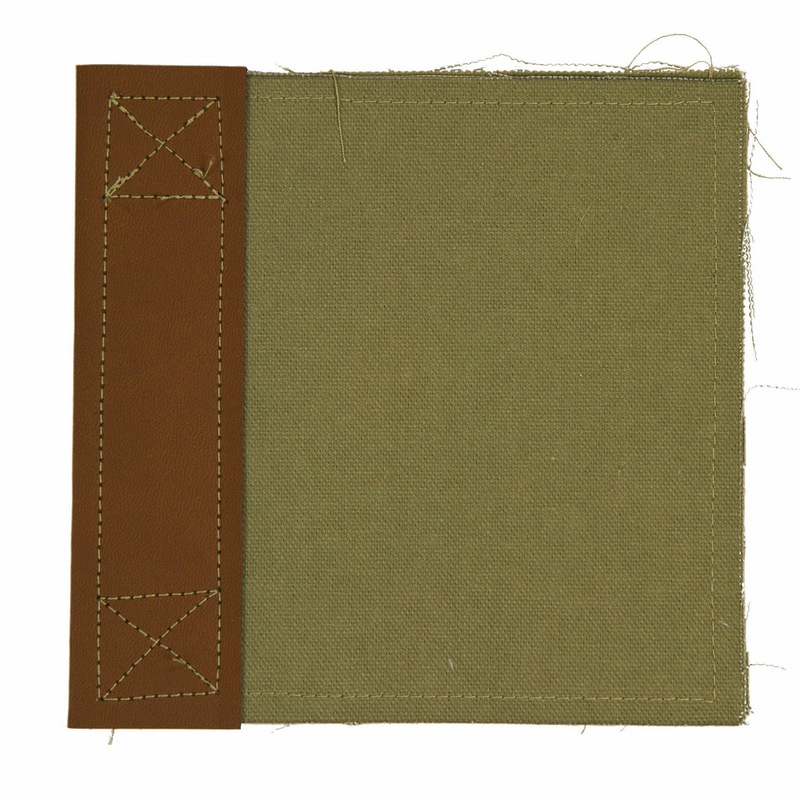 Measuring 5" x 7"and working with our collection of book covers, these are the perfect pages for a water bound journal. 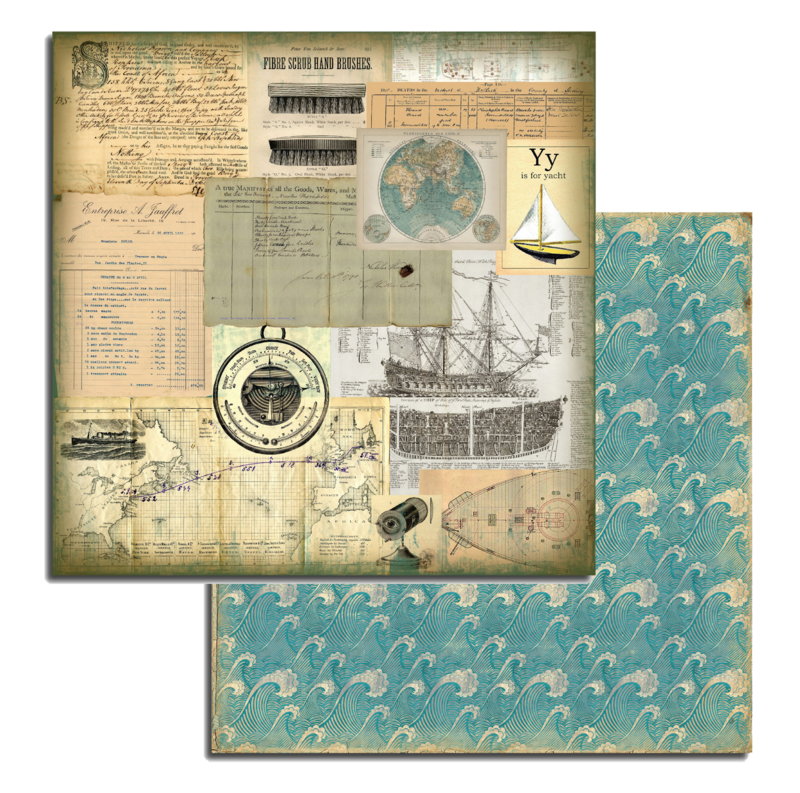 Measuring 3" x 5" our Maritime Journal Cards are printed on the same heavy stock as the journal pages and are just the right size noting your favorite Maritime memories or as the base for a mini-book. 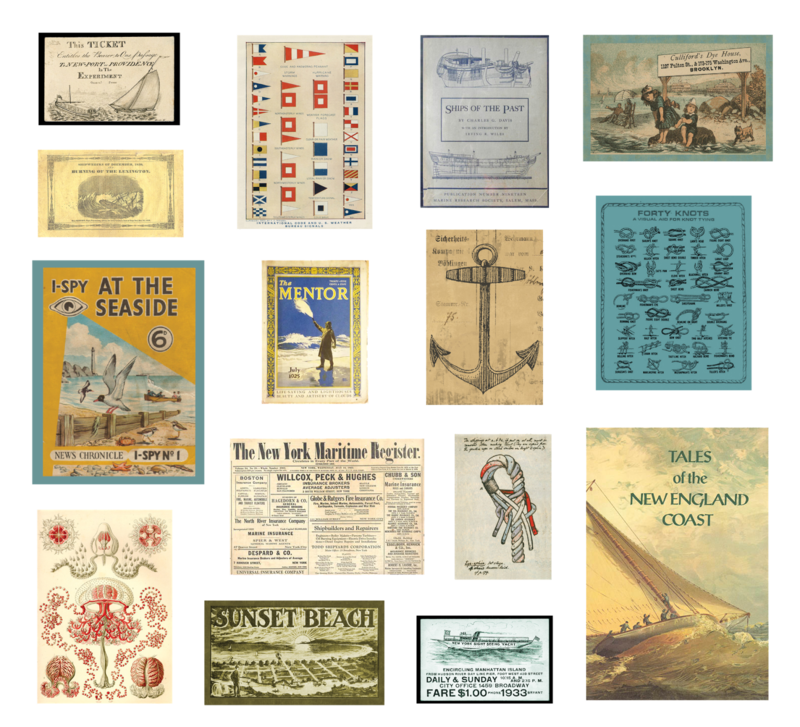 The Maritime papers featured in both 8" x 8" and 6" x 6"- 48 sheets.